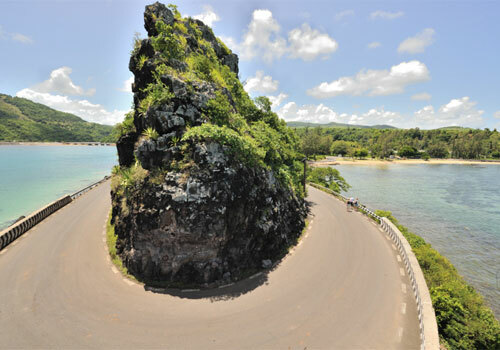 Between Le Morne and Baie du Cap is located the impressive hairpin curve called Macondé which you will have to pass if you are driving along the coastal road in the south of Mauritius. It is worth it to stop the car behind the curve and to climb up the rock from where you will have a breathtaking view. The curve Marondé is one of the interesting you could say frayed shape of the south coast of Mauritius which got created by the earlier volcanic eruptions.